After the pick up at your hotel, you get to Marina da Gloria, where the boat leaves at 9:30m or so. Starting your tour you will see the Museum of Tomorrow (Museu do Amanhã), built by the famous Spanish architect Santiago Calatrava. As you go on, and cross under the Rio – Niteroi bridge, you can see the neighborhood of Santa Teresa, the Santos Dumont airport, and the three forts that were built to protect the city, the São João Fort, Lajes Fort and Santa Cruz Fort. The big city, from afar sounds rather quiet and peaceful and the views of Rio from the sea are just breathtaking. As you circle back, you will come across the city of Niteroi, on the other side of the bridge side, from here you will have one of the best views of Rio de Janeiro. 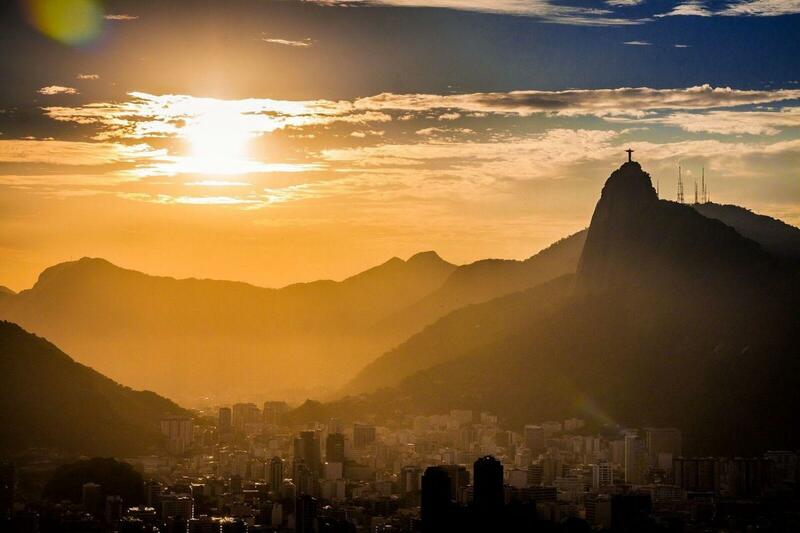 There take some time to take mental snapshots of beautiful Rio and actual Snapshots to show it to friends and family. You will sail to see the most beautiful landscape of Rio. It is the largest bay of the world in volume of water, it has several islands, as the Governor’s island, Fundão and Snakes island. During our tour if you are looking to let off some steam, just help yourself with the bar inside the boat, where you can buy caipirinhas and others alcoholic drinks or sodas and water. But we offer season tropical fruits, such as watermelon and pineapples for free! After heading back, you will drive back through Aterro do Flamengo from where you can see the beautiful Sugar Loaf in all its glory, before arriving at a traditional Barbecue Lunch, all you can eat style. Brazilian Churrascarias (Barbecue places) offer a wide variety of sides and alternative options. In case you decide to stick with a vegetarian option, you will still leave delighted. After this delicious lunch, we will head to the Cosme Velho Station, sitting at the bottom of Corcovado Mountain, where we will catch the train with pre-reserved tickets to save time and it will take you up to the top, through the dense Tijuca rain forest to the 38m tall (125ft) Christ Redeemer Statue. The 20 minute ride up will give you a chance to thoroughly appreciate the Tijuca Forest, which is considered to be the largest urban forest in the whole world. It represents 7% of the whole city`s territory! It’s breath taking and that alone already makes the trip well worth it. Upon arriving at the Statue, you will have two options of reaching the top, by a lift and then an escalator, or the traditional way, by stairs, 222 Steps, but the prize makes it all worthwhile. Once up, the views and the imposing statue will take your mind off the walk up! Looking up you will feel blessed and protected by this beautiful monument of Christ with open arms, now one of the new Seven Wonders of the World! From up there you can see most of the city, all of the south zone and all the way to Niteroi. A unique view that will astound you. You will have about 40 minutes to get to know all the sides and views of Corcovado and take pictures. After riding the train back down, guests will be dropped off at their hotels by bus.